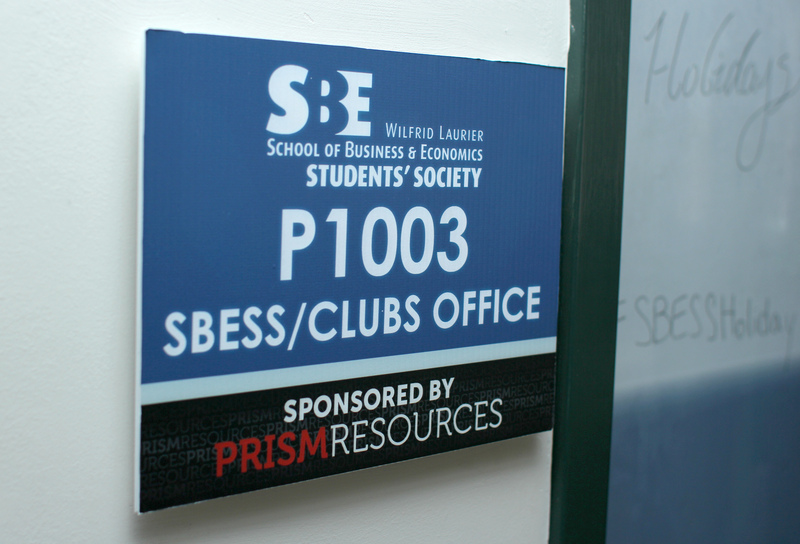 The School of Business and Economics Student Society (SBESS) wants a way out, but the Wilfrid Laurier University Students’ Union (WLUSU) doesn’t think it’s that easy. At the last Students’ Union board of directors meeting on Dec. 4, SBESS president Brandon Van Dam and VP of engagement Denise Wang submitted a referendum question asking the student body to approve the removal of SBESS from WLUSU. However, the board shot down the proposal from SBESS by a vote of 0-12-2. While the Students’ Union has no oversight in terms of the management of SBESS, they do provide the allocated student fees for SBESS as well as a ten per cent take of their student levy for insurance, governance and other policies. According to Van Dam, SBESS would like to keep their funds under their control so that they have an easier time attending to their students’ needs. In the past, “frustrations” have arisen between the two organizations, Van Dam claimed. “Especially the ones who are involved in a lot of [SBESS] clubs, we hear the frustrations most from them, so that’s in part why we’re investigating this,” said Wang. The referendum question was not approved, according to Students’ Union chair and CGO Jordan Epstein, because of the Students’ Union’s letters patent with the Ontario government which states that WLUSU must collect all student fees and be the sole governing student body of the university. The Students’ Union constitution must uphold the letters patent, therefore forcing the board to vote against the motion. “So even if the board do go through with this referendum question, they couldn’t because our letters patent say that we represent and collect fees for all students,” said Epstein. That was just for the motion, however, and SBESS still has the opportunity to remove itself from WLUSU through other methods. Similar to that of the Laurier Students’ Public Interest Research Group and PRISM resources, SBESS could collect fees on their own but they must allow a student opt out of the fees. But that depends on what operating agreement they have with the university if such permission was granted to separate. “Due to non-tuition fee protocol, that’s kind of a big component as to why this really can’t go forward,” said Students’ Union president, Annie Constantinescu, adding that there are other issues in play when an organization becomes independent. Furthermore, Epstein claimed that their operating costs would spike if they decided to go independent. Van Dam countered that by saying that SBESS has a lot of “connections” and support with the faculty to help out with those costs. As a result of these talks between the two organizations, tensions have risen. Frustrations even surfaced online with one of the Students’ Union’s Reddit Ask Me Anything where students have time to ask the WLUSU management questions about student issues. Mediation between the two parties has been scheduled for January with both the university mediator and a third-party mediator. “We’ve tried to address our concerns time again and again with the Students’ Union and they’re not being addressed. But what are our other options?” continued Van Dam, noting concerns about administration and monetary dealings of the Students’ Union. He added that they have the support of the SBE faculty. One of the issues that will be brought to mediation is SBESS’s use of off-campus banking, which, according to Constantinescu, is strictly prohibited by WLUSU. Van Dam did not comment when asked about this use of off-campus banking. Constantinescu claimed that she has spoken with SBESS about this matter this year. But Van Dam is hopeful that the organizations will be able to work together and that SBESS will eventually be granted its independence. It may not happen this year, but it’s part of their five-year plan, he said. 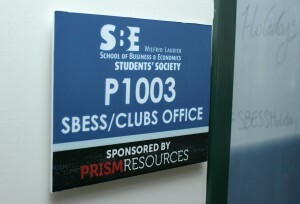 “The big thing for us is if the Students’ Union and SBESS are both able to take the political-ness out of it,” he said. SBESS governs a number of clubs such as Students Offering Support (SOS), Women in Leadership Laurier, The Link and Atrium Media Group.